The Amphibians head to Ras il-Qammieh for this weekend dive. Why not join us next weekend? Another night fantastic night dive on a glorious summer night on the beautiful island of Malta. Due to unforeseen circumstances, the planned dive on the Cable Layer was called off. Instead the Amphibians headed towards Munxar Reef just off St. Thomas Bay. And what a fantastic dive! Thousands of damsel fish (cawl) with a school of barracudas (lizz) constantly circling them. Visibily was limited to some 15m and a moderate current from the north made this dive an interesting one. 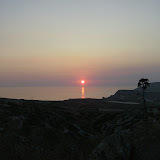 Fantastic day at Gozo! Marvellous day - with temperature reaching 41°C - the hottest day yet in the Summer of 2009. Not the hottest on record but close enough! The recorded hottest day was in August 1999 of 43.8°C. 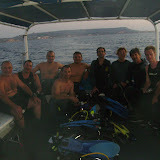 Diving was great too clear blue waters and plenty of marine life. The first dive at Gebla tal-General had some divers clocking 60m+ and witnessing a huge octopus, lobsters and plenty of interesting marine life. 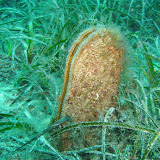 San Dimitri was also great with many seeing diferrent moray eels, cerna and plenty of other interesting life.